The unthinkable has happened. I traded my 2013 Ford F-150 Platinum EcoBoost for a new 2016 Ford F-350 Platinum 6.7L Power Stroke Turbo Diesel. As they say, go big or go home. 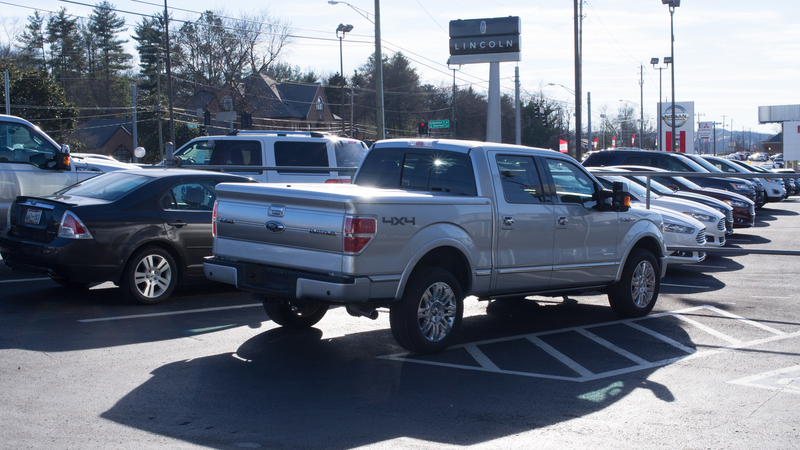 The F-150 Platinum EcoBoost was easily one of the most enjoyable and best vehicles I've owned. For daily driving, it was quieter and more comfortable than most luxury cars. 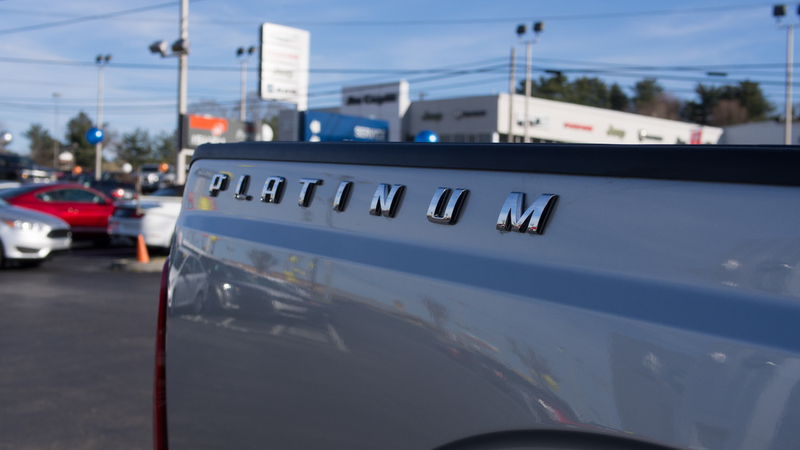 It was a beautiful truck in Silver Ingot Metallic with high-quality black leather interior and every option imaginable. 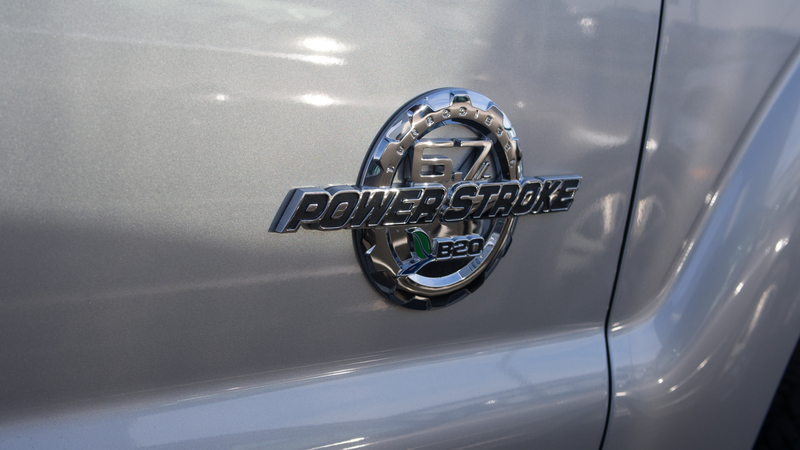 The 3.5L EcoBoost engine was smooth as silk and plenty capable of pulling our International Signature 27FB with ease. But there's more to towing than how easy the tow vehicle will pull a trailer. People are involved and people like stuff. Lots of stuff. After all, your house is following you so why would you not want to bring along stuff that helps make the #LiveRiveted life so enjoyable? With the F-150 hitched to the Airstream and the bed loaded with a toolbox, grill, bikes, blankets, hoses, cables, cords, rugs, lawn chairs along with a cabin full of cameras, laptops, power cords and of course Gadget with all her toys, we were always near the rated payload capacity and constantly trying to decide what to leave behind. So, we did the unthinkable. We ordered a new 2016 Ford F-350 Platinum with enough payload capacity for us and 25 of our closest friends. Not that they would fit, but the F-350 would easily carry them if space were not an issue. 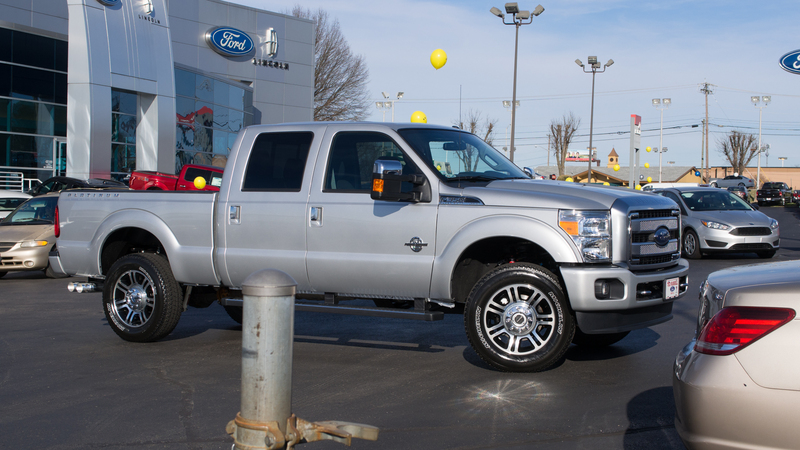 To get off the tow vehicle merry-go-round, I ordered the F-350 Platinum with the 6.7L Power Stroke Turbo Diesel engine. This thing is a beast that goes about its business of moving mass with ease and does so very quietly. Inside the cabin, the powerhouse diesel engine produces a very low hum at idle and is not much louder than the EcoBoost under throttle. At crusing speed, it's eerily similar to the F-150 in comfort and quietness. 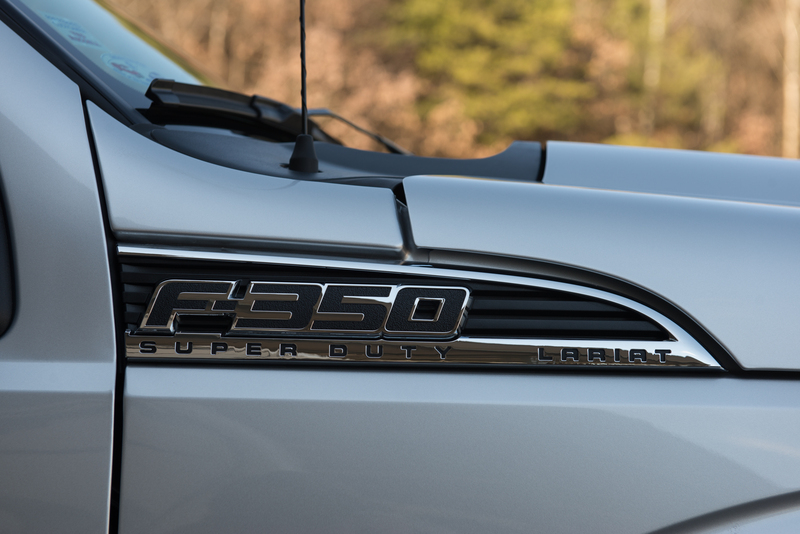 Everything you've read about the quiet cabin in late model Ford trucks is true. They are incredibly powerful, quiet and comfortable. 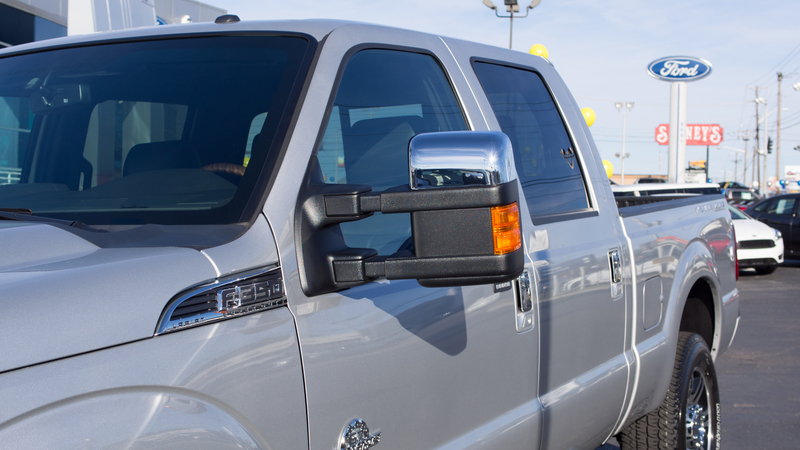 We loved all the features and luxury of our F-150 Platinum and wanted similar amenities in the F-350. Climbing up and into the driver seat is certainly different due to the height, but once seated it all feels familiar. The dash is almost identical with the same layout, blue LED tipped gauges and a Sony/Sync/Navigation system that actually sounds better than it did in the F-150. All the knobs and controls look like they were taken right out of our F-150. Everything in sight is familiar with the exeption of the ride height. In the F-350, you're almost eyeball-to-eyeball with semi drivers. When traffic stops there's no guessing at what lies ahead. Peer through the SoundScreen windshield and you can see for miles. It's a very cool view of the road. For anyone questioning the logic of a 1-ton truck, the answer is yes. 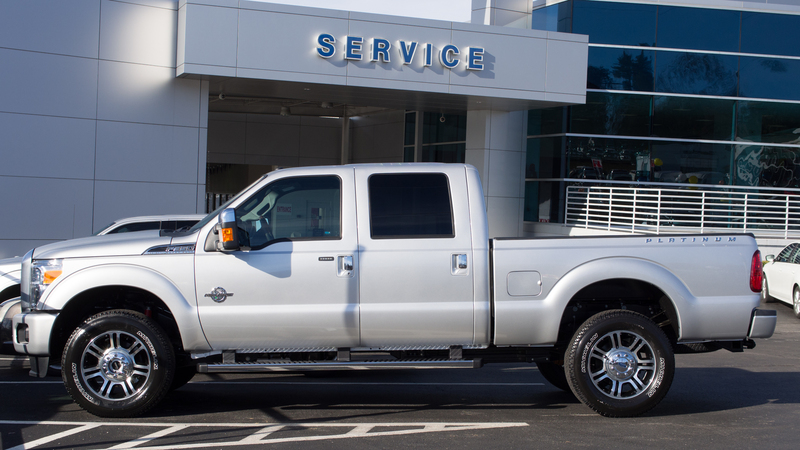 The Ford F-350 6.7L V8 Power Stroke with 440 horsepower, 860 lb.-ft. of torque and 3800 lb. payload capacity is overkill for towing an Airstream 27FB International Signature. If you're like us and want to bring along your toys to make an Airstream adventure truly an enjoyable road trip, the F-350 makes perfect sense. Pile them in the truck, fill up every tank, nook and cranny in the Airstream and off you go in style. No more porpoising down the interstate with your hands glued to the steering wheel concerned about payload. The F-150 was a fantastic truck and will always be remembered as one of my favorite vehicles. For the most part, it was better than any car we've owned. 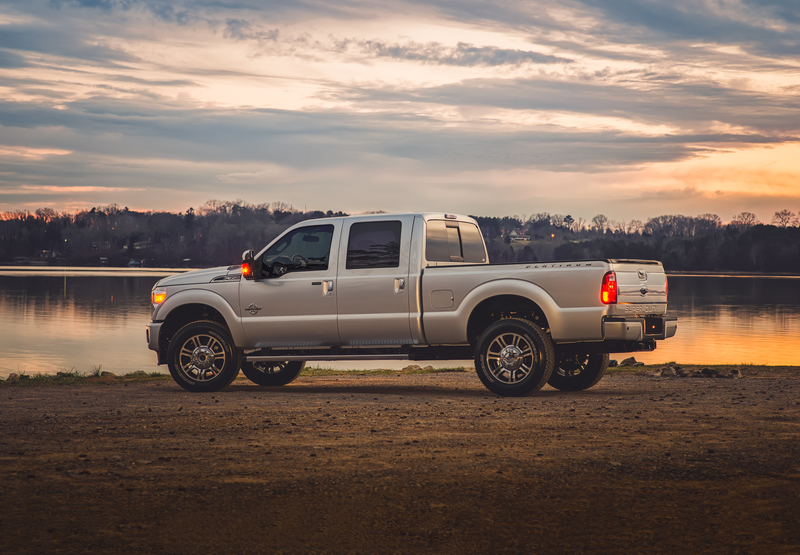 However, if you enjoy the Airstream life and love road trips as much as we do, the F-350 is a major step forward that will bring a smile to your face each time you climb into the driver seat. This is a serious driving machine that fits perfectly with the #LiveRiveted lifestyle.